What is Ubuntu Netbook Remix? 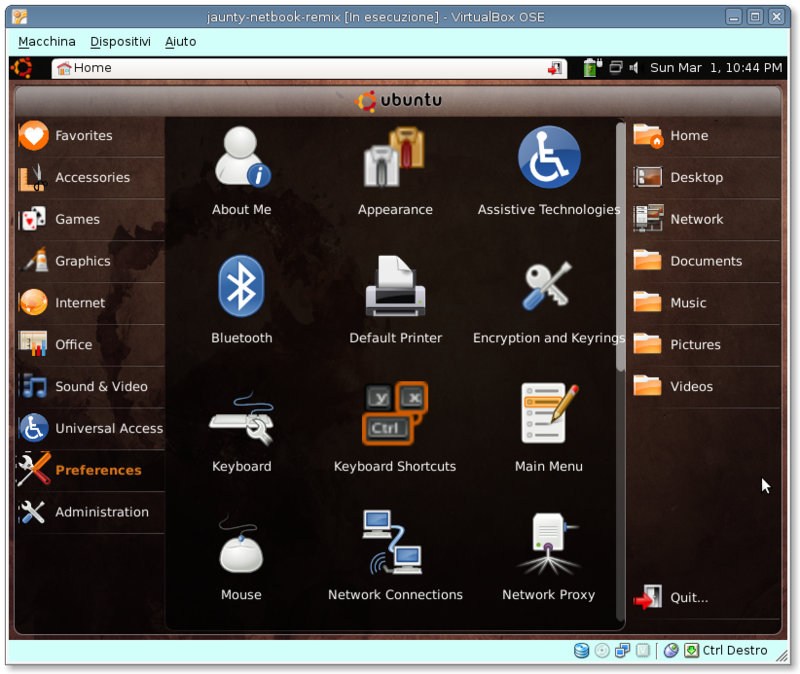 Ubuntu Netbook Remix is optimised to run on a new category of affordable Internet-centric devices called netbooks. It includes a new consumer-friendly interface that allows users to quickly and easily get on-line and use their favourite applications. This interface is optimised for a retail sales environment. The USB image allows you to try Ubuntu-Netbook-Remix without changing your computer at all, and at your option to install it permanently later. This USB image is optimized for netbooks with screens up to 10″. You will need at least 256MB of RAM to install from this image. Il file può essere copiato con “dd” su una pendrive e dal boot di questa si potrà provare la nuova interfaccia che lascia perplessi, ma che potrà avere estimatori.